There has been plenty of talk lately surrounding why developers should make their apps available for the BlackBerry PlayBook. While some developers have taken the time to make great apps for the PlayBook, some have not yet done so as they seem to feel the user base is not all that large. While that may be true to a certain point, realistically now is the best time to develop an app for the BlackBerry PlayBook due to the fact that great apps when they arrive, reach their mass potential among BlackBerry PlayBook owners. 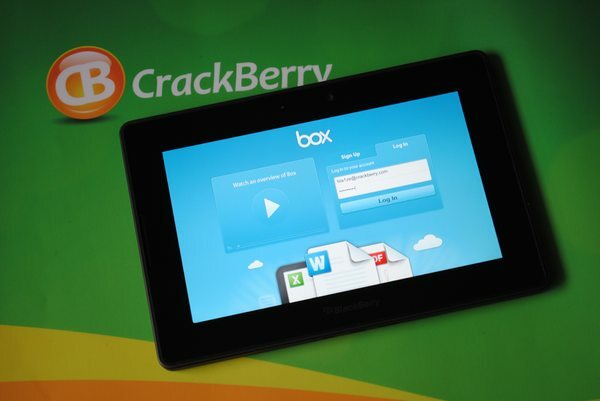 Using Box.net as an example, they recently noted that since September of 2011 they have now gained 500,000+ users to their platform and now, PlayBook owners make up 16% of their tablet user base. Call me crazy but if I was running a company, 500,000 new users is something that I would certainly want to have added to my statistics. It might not be a whole lot in the grand scheme of things but at the end of the day, 500,000 people speaking about a good app goes a long way to gaining more users in the long run, even if they are on other platforms.